Adapter for powering Miniature Microphones via standard P48 phantom power. 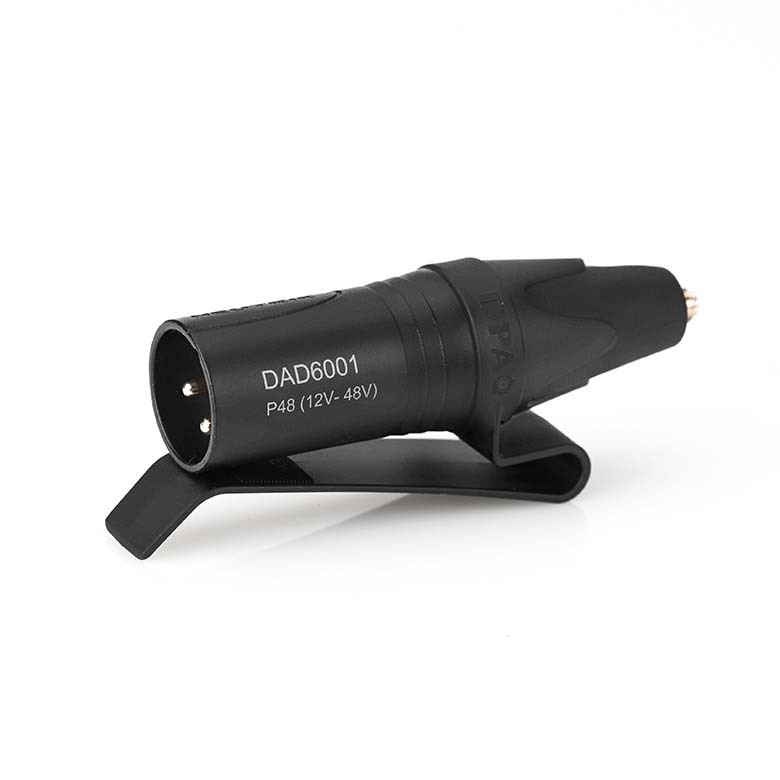 Designed for use with miniature microphones from DPA. Belt clip is included. This adapter is active-signal balanced, which improves suppression of induced electromagnetic noise. Common Mode Rejection Ratio (CMRR) is better than 60 dB from 50 Hz to 15 kHz. The adapter is functional at 12 V phantom power but needs 48 V ±4 V to reach full specifications. See all our Adapters for Wireless.